After starting the series with two wins at home, the Pens ventured into the unfriendly confines of the Shark Tank for the next two contests, but managed to split and headed back home with a 3-1 series lead. San Jose was able to keep their Cup hopes alive with a 4-2 road victory at the Consol Energy Center on Thursday night, sending the series back to the West Coast. Playing in front of a boisterous crowd of 17,562, the Sharks couldn’t capitalize on their home ice advantage, as the Pens celebrated their fourth title and first since 2009. It was Pittsburgh who struck first when Brian Dumoulin scored his second goal of the playoffs, a power play tally at 8:16 of the first frame. The Penguins took a 1-0 lead to the dressing room, outshooting the Sharks by a 9-4 margin. Logan Couture tied the game with his 10th of the post-season at 6:27 of the second period, but Kris Letang responded just over a minute later to put Pittsburgh back on top. Leading 2-1 heading into the third, Patric Hornqvist scored an empty-net goal with 1:02 left, as the Penguins held the Sharks to just two shots in the final period. The final shots were 27-19 in favour of Pittsburgh. Three-time Ted Lindsay Award winner Sidney Crosby was named the Conn Smythe Trophy recipient for his stellar playoff performance that saw him net six goals and 19 points, while capping off the Penguins’ championship run with two assists in Game 6. 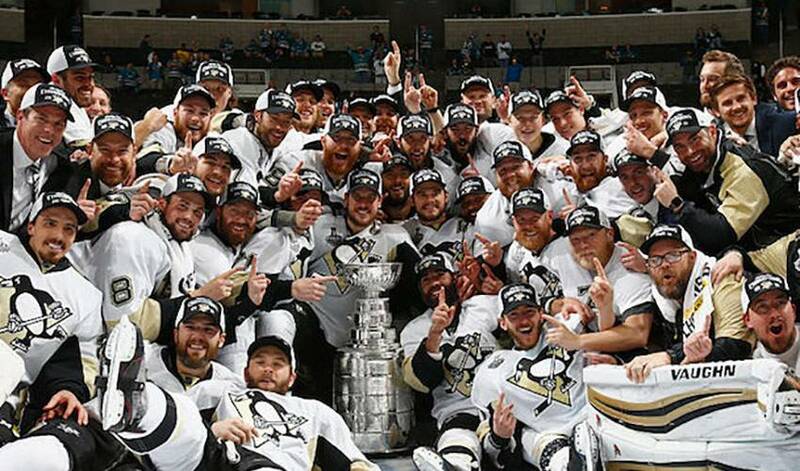 Congratulations to the 2016 Stanley Cup Champion, Pittsburgh Penguins, from the staff and members of the NHLPA.